People have food allergies. And although it can often seem like your pet’s stomach is invincible, certain foods may not agree with your dog or cat. In fact, adverse food reactions can lead to vomiting, diarrhea, loss of appetite, gurgling tummies and the bane of dog owners everywhere — excess gas. Or your pet may experience red, itchy skin and/or chronic ear infections. How can you bring your pet allergy relief? Limited ingredient diets may help. Typically, adverse food reactions in pets are categorized as either a food allergy or a food intolerance. With a food allergy, the pet’s immune system identifies an ingredient — usually a protein — as a foreign invader and mounts an immune response against it. Like a peanut allergy in people, there’s nothing wrong with the food itself; the animal is just allergic to a component in it. Generally, pets with food allergies may itch all year long, rather than only seasonally. Some pets have gastrointestinal signs and others may have both skin and digestive tract signs. Often, signs develop when the pet is young, in the first years of life. A food intolerance, on the other hand, generally doesn’t provoke an immune system response. Something in the pet’s diet, such as preservatives, colorings or spices, simply doesn’t agree with the pet’s digestive tract. A pet that is lactose intolerant, for example, may not be able to digest lactose, the sugar in milk. A food intolerance may happen when a diet has been changed abruptly rather than gradually over the course of a few days. Pets with food intolerances may exhibit signs similar to those with food allergies. Of course, there’s no way to look at your pet and know if his or her immune system is responding to the food. But food allergies and intolerances can often be treated the same way. Always consult with your veterinarian before taking drastic action. If only it were easy to know if your pet has a food allergy. The trouble is, itching can be caused by a number of things, including parasites such fleas and mites; skin infections from bacteria, yeast or fungi; and even allergens in the environment, including pollen and mold. Similarly, vomiting and diarrhea can be brought on by any number of conditions, including intestinal parasites, digestive tract obstructions or an inflammation of the pancreas. Your veterinarian can help rule out parasites, infections and other possible causes and determine if your pet’s food really might be the problem. The best way to diagnose — and eventually treat — a food allergy or intolerance is to feed a different food for 6 to 12 weeks. 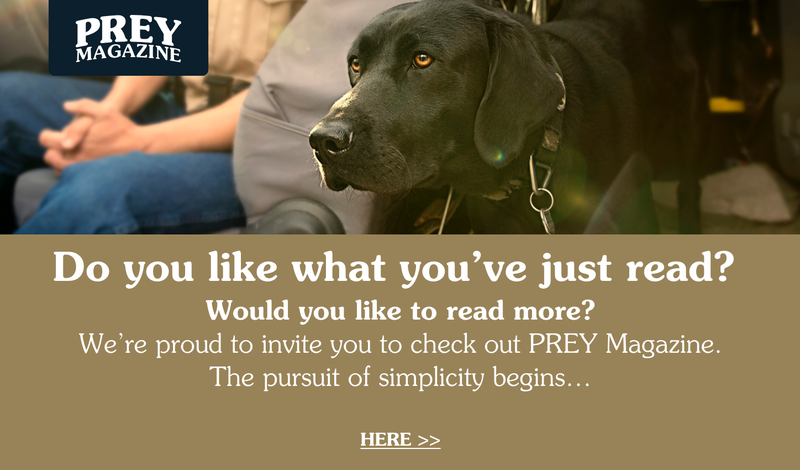 Diets such as new Taste of the Wild PREY™ limited ingredient diets for dogs and cats contain four key ingredients or less — so there are fewer components to potentially irritate your pet’s digestive tract. Each diet contains only a single animal protein source, such as pasture-raised Angus beef, cage-free turkey or spring-fed trout. During the trial, it’s important to feed your pet this diet exclusively, avoiding treats and table scraps that may contain the offending ingredients. If your pet takes flavored heartworm or flea medications, ask your veterinarian if there are hypoallergenic versions for your pet. If your pet’s signs dramatically improve while on the new food, it could mean you’ve eliminated the dietary ingredient that was causing the problem. 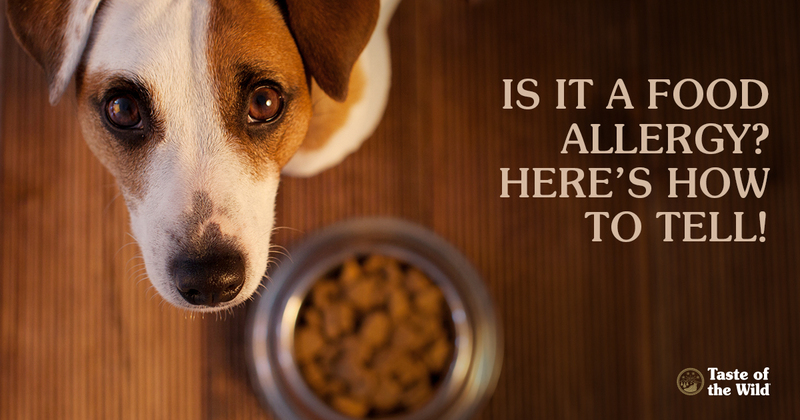 The only way to know for sure is to feed your pet the previous food again. If the signs return, it indicates an ingredient in the original diet was most likely the problem. Sometimes, it may take more than one food trial to eliminate the problematic dietary component. Your veterinarian may recommend diets with other novel proteins. If your pet hasn’t been exposed to the protein before, it should not have developed an allergy to it. Other hydrolyzed diets break the proteins into small pieces that can’t be recognized by the pet’s immune system. Finally, if your pet’s signs don’t improve much on the diet trial, it may be possible your pet is allergic to substances in the environment. Some unlucky pets have both environmental and food allergies. Your veterinarian can perform tests to help determine the cause of your pet’s allergies. Although allergies can’t be cured, special foods and/or medications can help keep your pet comfortable. And that should come as a relief to both of you.